This page is for the game developed by Dynamix. 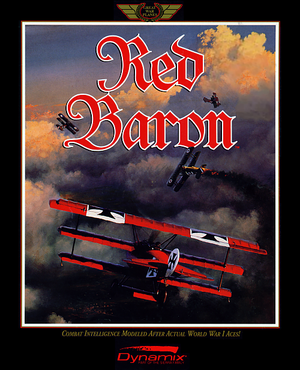 For the game developed by Davilex Games, see Red Baron (2005). The EGA/Tandy version is available for free. Available for free. EGA/Tandy version. VGA version pre-packaged with DOSBox. Bundled with Red Baron: Mission Builder and Red Baron 3D. Part of "Red Baron Pack". 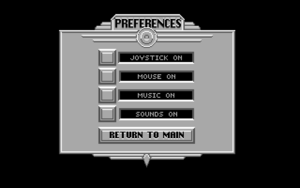 In-game options menu (EGA/Tandy version). CGA, MCGA, Tandy, EGA, VGA EGA/Tandy and VGA are sold as separate versions. 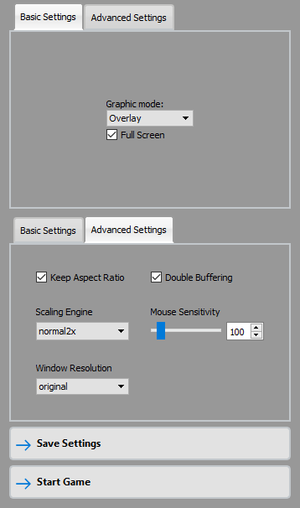 A collection of mods can be found here. ↑ 1.0 1.1 File/folder structure within this directory reflects the path(s) listed for Windows and/or Steam game data (use Wine regedit to access Windows registry paths). Games with Steam Cloud support may store data in ~/.steam/steam/userdata/<user-id>/263940/ in addition to or instead of this directory. The app ID (263940) may differ in some cases. Treat backslashes as forward slashes. See the glossary page for details.